Do you enjoy coming back home to a spotless flat or house? Do you hate cleaning? Having to give up your free time to scrub the bathroom? Don’t despair. We believe we have what you need. And that is the best solution to your problem. 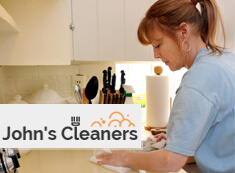 Our domestic cleaners in Clapham SW4 can visit you promptly and begin housekeeping for you on a regular basis. They will keep your home in best condition and leave you with enough spare time to tackle your non-domestic duties. If this idea appeals to you, simply get in touch with us. Our associates will help you book a service. It is worth a try. Our domestic cleaners in Clapham SW4 are hard workers, always smiling and ready to tackle your chores. They will stop at nothing to make you feel comfortable in your home again. 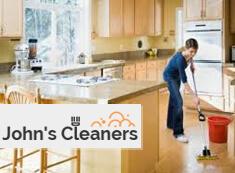 We can prepare an individual cleaning plan that will cover all the basic needs of your home. You can add chores of your choosing to the plan. This will make our domestic cleaning in Clapham more personalised. Hence, you will get what you need. Our standard check-list includes cleaning and tidying all bedrooms, kitchen, bathroom and living areas. A personalised task list will include anything you want. We promise you will like our prices and our service. Hiring one of our cleaning maids or a team of maids will make more time for yourself. Just think about all the things you can do when you no longer have to deal with mundane chores. It will help you stay focused on the more important things in life, be it your children, your career, your studies or your business projects. In case you are wondering, we work in and around SW4 Clapham, which means you have to call us and let us know what your address is. We will make sure to come as soon as we can. We promise your phone call will be answered within a minute. Just don’t forget to get in touch with us. Your maid is waiting for you.